Once upon a time, your heart was broken. It was ripped out of your chest, stomped flat, shattered into a thousand pieces. Romance, you decided then, was something you didn’t want anyway. Love is for dreamers and optimists. Love, you were sure, is for suckers. Or, as in the new book “The Rules of Magic” by Alice Hoffman, love is cursed. Despite that their parents enjoyed a relatively happy marriage, the Owens siblings had always known that they should never fall in love. It wasn’t safe, they were told. The one they’d fall in love with would be doomed to die young, a heartache that could be blamed on only one thing: as descendants of Boston’s Maria Owens, and her daughter and her daughter’s daughter and so on, the Owens siblings were witches. As the eldest, Franny scoffed at her “gifts,” but she secretly loved them. Tall, with long red hair and fair skin, she was the responsible sister who could see auras and talk with birds. At seventeen, she learned to make potions from her Aunt Isabelle; also at age seventeen, Franny turned away the boy who adored her. It just wouldn’t do to keep him around. It was too dangerous. People always said second daughter, Jet, was a dead-ringer for Elizabeth Taylor. With long black hair and luminous gray eyes, Jet was a boy-magnet and could read minds. She, however, only had eyes for one boy and though he was exactly the wrong person to fall in love with, she was sure she could outwit the Owens curse. As the only son born in many generations, Vincent was unusual the minute he entered the world surrounded by an aura. Dark-haired and tall, he was a charming, talented musician and magician – the latter perfected, thanks to an ancient, forbidden book that had found him, more than the other way around. Girls swooned over Vincent, though he sneered at the very idea of love. He couldn’t escape the family curse anyhow, could he, so why bother? And yet, here’s a light warning: if you’re not familiar with author Alice Hoffman, it might take a few pages to see where you’re going. Dip your toes, stick your whole foot in, though, and you’ll soon be immersed in a tale that’s believable and not, both at the same time, which is exactly what you want in a gauzy novel like this. Fantasy swirls in and out with the characters here, as they also suffer from the same human foibles and desires that we mortals have and it’s all held together by magic. If that’s not a great way to imagine love, I don’t know what is. 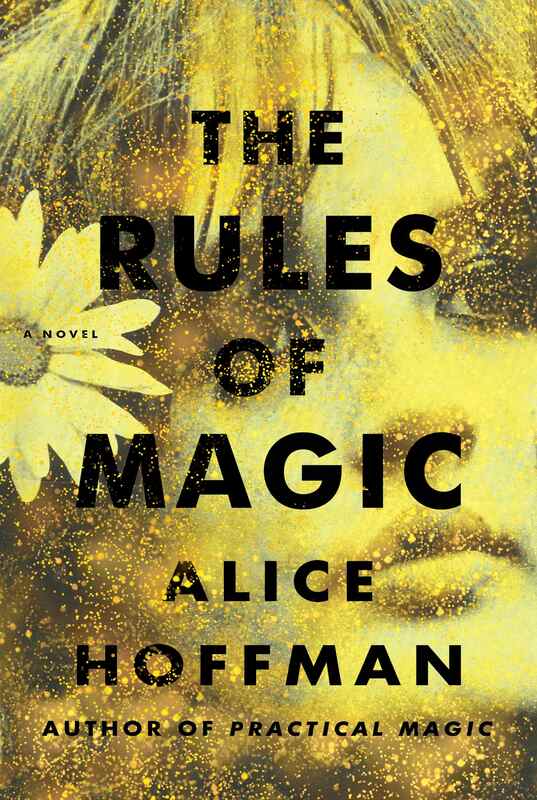 “The Rules of Magic” serves as a prequel for Hoffman’s 1995 novel, “Practical Magic,” but with a small dram of patience, you can read it first just as easily. And read it you should – or miss it, be heartbroken.